Local specialist in private speech therapy and voice coaching in the Manchester and Stockport areas! One-to-one tuition with experienced therapist to suit your individual requirements. Adults and children treated. Weekend appointments are available. I qualified with a degree in Speech Pathology and Therapy from Manchester University in 1986. Since qualifying, I have worked in Australia, Salford, Manchester and Stockport. During my career I have worked with both children and adults with a range of speech and language difficulties. I have worked in a special school, educational settings, health centres and NHS hospitals. I also currently lecture in Speech Therapy at Manchester Metropolitan University. Registered with health insurance companies including Bupa, AxA PPP etc. Royal College of Speech and Language Therapists, Allied Health Professionals, SpeechEasy. Our 4 year old was struggling to pronounce certain sounds. Sue taught him to say them correctly without him even realising. He really looked forward to seeing Sue and the improvement after 3 sessions is remarkable. . My son's latest school report was as follows, "he loves to talk to his peers and the adults..... his speech is so much better now, it is amazing that he can now say the sounds he has never been able to say". What a fabulous report to read! We are thrilled to have found Sue and the improvement after just three sessions is remarkable. I would highly recommend seeing Sue, and both myself and my husband thank Sue most sincerely. Believe all these positive reviews. I was very apprehensive about seeking treatment for my speech problem but even after my first phone call to Sue I was instantly put at ease. My treatment sessions always felt relaxed and well structured. I no longer feel like a powerless victim of my impediment and I have Sue to thank for that. We took our son Archie to see Sue as we had been really worried about his speech delay. We had had feedback from our son's teachers about him and didn't know where to turn. Sue assessed him and straight away explained everything to us clearly, She made us felt so much better as we knew exactly what was gong on after speaking to her. . Archie also really enjoyed the session and was talking about Sue all night when we got home. We want to say a massive thank you, Sue. Sue's support was fantastic, so surprised at how well I have done! I went to Sue for some help with my voice as I am transgendered and I wanted a voice that matched my appearance. I was not expecting it at the beginning, but I am so surprised at how well I have done, my voice sounds so much more female than it did at the start. I wouldn&rsquo;t have been able to do this had it not been for all Sue&rsquo;s help and support. Also, I really enjoyed my sessions as Sue she was so patient with me. Thank you Sue for everything, I really enjoyed meeting you and will miss seeing you! Our daughter is now 5yrs, a confident, bright, happy little girl who is extremely sociable and converses with children and adults alike, with ease. When she was 2.5yrs, we moved house a couple of times in short succession, and along with growing pains and other changes that may have triggered it, she developed a stammer that would come and go - it was more than just "blocking" due to her brain working too fast for her speech. Obviously this was a real concern and via research we found that a stammer could become lifelong. Via talking to Sue we discovered that stammering could be cured, for good, with the right approach, understanding and environment that you create for the child. We followed as much of Sue's advice as we could and the results were both immediate and amazing. I will never forget being in the reception of her practice and our child was stammering non-stop, as soon as we entered the session and Sue interacted with her, our daughter was put completely at ease and her stammer disappeared. This was an inspirational moment to understand that we had to nurture a different environment allowing our child to lead interaction and play, whilst becoming more aware of potential triggers. Like many people who have written reviews on this site, we are indebted to your help Sue and I cannot recommend you highly enough. Thank you for everything and 2.5yrs later we cannot be thankful enough that our daughter is able to speak completely freely. Sue literally turned my daughter&rsquo;s life around. She is a bright girl and was an early talker, but her stammer started when she was only two. She really struggled speaking and her confidence was low. We had years of speech therapy with different therapists using different methods - none particularly looking at the child in question. We met Sue just before the start of secondary school. At the end of our first session with Sue, my daughter could say her name without stammering, her biggest problem throughout all her school life to date. I can honestly say she just blossomed from then on. An off shoot of the stammer was chronic anxieties which led to sleepless nights. Sue help sort these issues too with her warm and straightforward approach. I cannot recommend her highly enough. Thank you Sue! I cannot thank Sue enough for the work she has done with my five year old daughter. My daughter is always very quiet around new people, especially new adults, and I was so surprised how she opened up to Sue and took to her straight away. Sue has a lovely manner and interaction with children and was able to build an immediate rapport with my daughter. I had great confidence in Sue straight away: she identified the key issues and was able to give me a treatment plan outline. Each session my daughter had with Sue was enjoyable and interactive &ndash; she never got bored of going. I had imagined my daughter needing quite a lot of sessions, but after just a few, the leap in her progress was fantastic. Sue&rsquo;s treatment meant we didn&rsquo;t need to go for as many as I had planned. I am forever grateful to Sue who has helped my daughter with her speech and in turn, this has had a knock on effect. She is now a confident girl, excelling in phonics and reading. I would never hesitate in recommending Sue to anyone looking for a speech therapist either adult or child. As a transgender woman, I've have a very hard time finding a speech therapist that specialises in MTF (male to female) voice feminisation that doesn't charge more than hundreds of pounds for a single session. Sue's, pricing was not only very reasonable costing &pound;45 for a one hour skype session, plus allowing me to split the sessions into smaller half an hour appointment which basically halved the price for me as I didn't need the full hour usually, but also a very very good teacher. Before seeing Sue, I had huge difficulties with speaking on the phone even in informal situations with friends and family but now I can speak on the phone to the bank without any issues and with the person on the other end rightfully assuming I'm a woman. Sue has not only helped me to speak in the female range but she also given me the confidence boost that I needed so much. The day's of being called "sir" on the other end of the phone are well and truly over. I would definitely recommend Sue to people to are in need of feminising voice training. From poor speech to confident talking! It is with great gratitude I write this. Thank you Sue so much for your help with Alayha's speech - she is now confidently talking away. Before seeing you, she was not talking well at all. This transformation could not have happened without your dedication and support. Thank you once again. I spent about 4 months having weekly appointments with Sue-singing is my profession and main source of income, so when I developed nodules I thought that my career would be down the pan. After one session with Sue I felt enlightened, she gave me hope that my voice could get better after just one hour with her, when I had spent weeks telling myself I was done for! We developed a special relationship, I looked forward to my sessions every week and I felt huge changes in my voice within weeks after I started seeing her. Sue is a kind, conscientious and hard working woman that invests time and emotions into her patients, I have nothing but wonderful things to say about her. With one side of my voicebox paralysed I was taken from a weak, croaky voice to strong clear speech over a period of a few months. It has made a big difference to my life and undoubtedly avoided surgery. Saved my daughter's singing career! My daughter Emma wanted to pursue a career in musical theatre but was diagnosed with vocal nodules and was recommended to stop singing altogether. We were very upset and worried and made an appointment to see Sue. Emma attended for treatment and after the first few sessions, we could not believe the improvement in Emma&rsquo;s voice and her confidence too. Later, Sue advised that it was okay for Emma to start singing again. Emma went back to rehearsals and then appeared on stage as Arial in Footloose. She was unbelievable in her show - both her voice and her singing were amazing. No breathiness and no croaking; just an amazing and stunning voice! More importantly, show after show her voice was still great and wasn&rsquo;t affected at all. On her return to ENT, the Consultant told us that Emma&rsquo;s nodules had gone completely &ndash; she didn&rsquo;t need any surgery on her vocal cords. We were jumping for joy! What an amazing and transforming job Sue did. She worked wonders &ndash; a huge thank you to Sue for bringing Emma to this point - we can&rsquo;t thank her enough, she is truly fantastic. My son had speech therapy with Sue and her sessions were brilliant! Sue is so friendly and approachable - my son loved her coaching. Even when my son dipped a little in the progress he was making, Sue persevered. She is so enthusiastic and with her seemingly effortless skills, she has produced great results for my son! We are so grateful &ndash; Sue is a lovely, dedicated and fun lady! I am transgendered and tried improving my voice using DVDs, CDs and books - but they only helped me a little. To make substantive progress I really needed specific advice, so I did some research and found some Voice/Speech Therapists. My selection criteria included: formal qualifications (ideally degree and above) and experience in helping Transgender people. I selected a Speech Therapist in Manchester, Sue Addlestone, and booked an initial session. Sue quickly put me at ease at our first meeting with her friendly manner. She is very practical and focussed on exercises that get you to produce the pitch and intonation you want. She also has a great sense of humour! Sue gives immediate and constructive feedback and is so full of enthusiasm and ideas, I left each session eager to practice and develop what she had taught me. From my sessions with Sue, I made dramatic progress. My Voice Pitch Analysis has improved from an average 146Hz (Male) to an average 195Hz (female, without falsetto - hurrah!). Sue taught me what I need to know in order to reach my goal. She is a great professional who has made a big difference in how I can live my life. Feeling amazing now after 40 years of stammering – I couldn't have done this without Sue! At the age of 40, and after trying to manage my stammer for most of my life, a promotion at work pushed me to try and do something about it. Sue was brilliant! Really understanding and professional. For the first time I started to open up about my stammer and how it was affecting me. Facing it head on is very much the answer, and Sue gave me the tools and the confidence I needed. Today I have given my first scripted presentation to a packed room and I feel amazing. I&rsquo;m very proud of myself! My daughter's voice simply disappeared one day and remained as only a faint whisper for nearly 4 months. After weeks of appointments and assessments we were finally recommended to Speech Therapy, by which time we were beginning to despair, wondering if and when she would ever speak again. Sue was recommended by a friend. From our initial conversation I felt reassured and instantly hopeful that I had finally found someone who not only recognised the problem but seemed confident that it could be fixed. After only 2 sessions with Sue and some simple daily exercises, my daughter rediscovered her voice, and her confidence. We cannot thank Sue enough. I am an author and having had a new book published, I was asked to an event to promote it. This required reading aloud from my book in front of an audience and a question-and-answer session. I did not feel confident about public speaking, so I contacted Sue. After seeing Sue, the event went really, really well and I was very happy during the entire reading. This was largely thanks to Sue, and the assistance she gave me. Thank you so, so much Sue! My daughter is a studying music and is a keen singer. When she began struggling with her singing voice, we went to Sue. She was hardly singing at all. My daughter found the sessions incredibly helpful. Having seen Sue and gone back to her singing teacher after treatment, her teacher couldn't believe the difference! Transgender voice therapy with Sue has given me the confidence to live my life to the full. I am transgender and contacted Sue for voice therapy and at the start, I was very nervous and anxious. Sue soon made me feel at ease and relaxed. Her vocal coaching and friendly personality has given me the confidence to live my life to the full. I have integrated back into society as a female, holding full time employment, and working directly with over 100 other employees in an organisation which has over 2,500 employees in Manchester, which is something that at the beginning would have instilled total fear. I am most grateful to Sue for the time we spent together, and truly the confidence it gave me. I really value lovely people in my life, and Sue is a truly special person. My daughter is still asking if she can go play with Sue again. I just wanted to say thank you again for seeing my daughter. The time and effort you spent with my daughter meant a lot to me. She really enjoyed meeting you and was still asking me when she can go play with Sue again.Thank you again for making a difference for her. Stammering help - improved my confidence a lot! Sue Addlestone provided a single speech therapy session for my 8 year old daughter who had lost her voice following a throat / chest infection. The session was friendly and relaxed, and focused on simple key tasks that my daughter could follow both during and after the session. A week after the session my daughter regained full use of her voice. Many thanks Sue. Having had speech Therapy as a kid, I wanted to return and do more, especially with a wedding around the corner. Initial progress exploded into a brilliant combination of practical educating how to tackle stuck sounds and personal counselling that got right into my mindset and emotional state around my stutter. I now feel so much better and more prepared, thank you! I lost my voice completely for 9 weeks and couldn't speak in anything more than a whisper. I felt completely depressed and very isolated. It was impossible to carry on a normal life and my family were all really anxious about me. I was referred for speech therapy on the NHS but the wait for the appointment was weeks and weeks away. I found Sue&rsquo;s website and got in touch with her - she managed to see me the next day. From the very first appointment, I could see a difference. After a few visits, my voice started to come back and then it returned completely to normal. Sue has been absolutely amazing! I am so grateful to her and so glad that I met her - without Sue&rsquo;s help I would have gone into a depression. After attending 10 weeks of NHS speech therapy my 3 and a half year old daughter had not made much progress and didn't really want to go anymore. She struggled with a lot of letters and everything started with a "D" which made her hard to understand. I googled local speech therapists and found Sue. I can only say I wish I had gone to Sue from the start. I read some of the testimonials and thought that she sounded too good to be true , however after one session my little girl wanted to go back again the next day ! ...and now after only 4 sessions with Sue, my daughter is now at the correct stage for her age, and also saying some letters and blends that are past her age. On our last session Sue said that we didnt really need to come again and only charged me for half the session. I cannot recommend Sue enough. She has a natual rapport with children who just seem to take to her immediately. 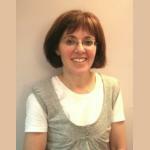 She is kind, warm, patient and gentle and has a really lovely attitude towards helping people learn. Every session was lively and interactive, not sat at a table looking at flashcards like the previous place we had been. At the end of every sessions, Sue allowed my daughter to choose a present from the selection, and the sessions were made up of fast paced games and so my little girl didnt realise it was a "lesson" and managed to concentrate for up to 45 minutes sat at a table with Sue. If you have concerns about your childs speech I would advise you to contact Sue and go and see her for a few sessions. Whilst I paid privately, the cost was very reasonable and it has paid dividends in helping my daughter to speak properly so that she can be understood by others, rather than just me. She will now be ready to go into reception and can be a confident and happy child ready to learn and ask questions and talk to her friends properly. We are not all the way there yet but I will continue with the homework that Sue gave me for a while and unfortunately it looks like we wont be needing to go back to see Sue again. She is a lovely lady and I am so glad that I went to see her. You can't put a price on being able to talk properly, and having the best start at school possible. I'm so pleased. I wouldnt hesistate in contacting Sue again if I though that we needed some more help in the future. I wish her all the best and will be singing her praises everywhere I go ! Sue recently helped me become a better, clearer and more confident speaker. As someone who works in an environment where the pitch perfect delivery of presentations and ideas is essential I found Sue's advice, skills and useful tools brilliant. Sue is a great listener, fun and professional to work with. I would have no hesitation in highly recommending her services to anyone who wants to improve their speech. Many thanks Sue. I was really struggling with my singing and had almost given up completely. I went to see Sue and I am delighted with the results! Sue helped me so much - I am now singing regularly. In fact I am singing 3 - 4 times a week, as well as joining a Church choir I successfully auditioned for Altrincham Choral Society last summer and I am also now training with the Halle Academy ( dream come true...its great!) Thanks to Sue for all her help and for giving me the courage to carry on singing - it is such a big part of my life. Our daughter Francesca had a severe stammer, and as concerned parents we were anxious to get help. We found Sue online and saw her for speech therapy. We are delighted with the results - Francesca is now doing really well, she has started school and her speech is very good. We think Sue&rsquo;s support and guidance has been invaluable both to Francesca and us as parents. She provided the right path to follow and trust, knowing that it would lead to the best outcome for our daughter. My son had issues with his diction and his speech did not sound clear. Sue was recommended by a friend, and I'm eternally thankful. She located Alfie's problem areas immediately and dealt with everything very effectively and efficiently. He really enjoyed coming to see Sue. Alfie's speech is perfect now! Thank you so much, Sue. As a teacher I had been struggling for several months with a husky voice following a severe chest infection last winter. I feared I would have to have an operation to resolve the problem. However, with Sue's voice exercises, advice and guidance, I am now completely back on track. She has also done some CBT with me with has significantly helped with another issue. I would thoroughly recommend her! I was initially sceptical that speech therapy could help me. The I met Sue and was impressed by her enthusiasm, commitment,expertise and engaging personality. She was able to eventually "tease out" the root causes of my speech problem. I am so grateful that I went to her. I am just a little sad not to be seeing such a sparkling, addictive personality again. I tried everything to change my voice join transition, bought internet programmes, apps, watch endless Youtube successes , I was damaging my voice. Finally, a sought expert help in Sue, it took only five sessions and I found my female voice. As a concerned parent I was immediately put at ease. From the very first telephone conversation I had with Sue I felt relieved and reassured by her professionalism and calmness. My 5 year old son thoroughly enjoyed his sessions with Sue and in fact he still asks if he can go and play at her house! Not only did Sue provide effective and efficient therapy for my son but she has also been a great source of advice and support for both my husband and myself. We'd been to several other speech therapists, but my wife and I both noticed that whenever we went to see Sue, our son always seemed to make significant progress - and so we've kept coming back (that and our little boy loves going to play all the 'speaking games'). Sue's experience, expertise and constant encouragement (to both our son and to us) made us feel reassured and supported throughout the therapy. As a teacher, my voice is my livelihood. Sue has helped me coach my voice back to full strength after a very stressful 6 months considering other career options and being constantly exhausted after a day's work. Thankyou Sue! My daughter enjoyed the sessions and made great progress! I took my daughter to see Sue because her speech was unclear. She had been discharged from NHS speech therapy, saying they couldn't do any more therapy for her. Whenever we went, Sue was always full of enthusiasm and she made my daughter feel good. Sue is very pragmatic and always made the most of whatever time we had. In summary, my daughter enjoyed the sessions and made great progress. The yoda of voice for singers! I am a singer in a band, so when I started having problems with hoarseness I looked for a vocal therapist. The most important thing for me and my work is making sure my voice is in good health. After a phone consultation with Sue, I went and had an hour's session. She diagnosed my problem straight away and taught me how to fix it. Within 48 hours I was back to normal! If you're in need of advice, or want to know how you can improve your sound, this woman is the yoda of the voice!" We saw Sue with our Son (age 4). She immediately made him feel comfortable, and through playing with him, could make an assessment during our initial visit. From our first visit, it was obvious to us that Sue is an experienced professional in her field. Our son enjoyed the visits and we as parents found them very rewarding. Sue has given us very helpful advice and we respect her opinion greatly." MTF: In a few short weeks, my voice now matches my appearance! I went to see Sue for help with my speech, which was really helpful. Sue is a complete professional and a real expert in her field. She also has a fun and exciting personality - I loved the session! Confidence in presentations - a huge impact on my studies and career! Sue has helped me to gain confidence in regular presentations, which has a huge impact on my studies and career. I came to see Sue initially for help with speech and presentation skills. However Sue was immediately able to target and get rid of a problem which I have had a for several years but have been unable to stop. Since seeing Sue, my speech is considerably clearer! It is with great pleasure that I highly recommend Sue. I cannot thank her enough! Since beginning my sessions with Sue the transformation in my speech has been remarkable. From the very first session I have noticed marked improvements in my speech and I am now speaking more fluidly than ever before. Things like phone calls and ordering from a menu in a restaurant used to cause me a great deal of anxiety but now I don't even give them a second thought. Sue offers a very flexible service even allowing me to arrange appointments at various locations. She is always keen to keep in touch between sessions and does so via both phone and email. I cannot recommend Sue highly enough. Sue assessed our child for communication problems. Sue understood our concerns and was great in organising the assessment, conducting the assessment and promptly letting us know how we could support our child. She is very friendly, approachable and flexible. Sue was really supportive through out and gave us extremely helpful advice. We would strongly recommend Sue! I was referred to Sue for help with my voice and my singing. I am a singing teacher but had been suffering with both my speaking voice and singing voice. It was making my work very difficult. Now I have had therapy with Sue I am so much better. Thanks to Sue so much for her support and expertise in regaining my singing and my voice. Thank you, Sue, for showing me that my voice can still cope with the demands I put on it! " I have had a stutter all my life. I recently decided to do something about it and went to see Sue. Sue helped me to understand my stutter and at last I have overcome it completely. I was best man at a wedding and had to give a speech &ndash; it went really well and I didn&rsquo;t stutter! Sue has helped me so much. I met Sue last night at her house and I was nervous to begin with, she soon made me at ease and taught me how to correct me speech, Thanks Sue....... I will be back for more lessons if what you have taught me does not rectify my fault. Voice now doing really well thanks to Sue! I was recommended to see Sue because my voice been getting more and more hoarse. I work on reception in a hospital and need to speak to patients and other members of staff almost all day. I wasn't able to go to work because of my hoarseness and had to take sick leave. Still, my voice didn't get better. I went to see Sue and was amazed that after just 1 appointment my voice started to return! The weekly exercise's really helped. I am now back at work and my voice is doing really well thanks to Sue! Having a few issues with public speakng (breathing and projection), I found the session with Sue very helpful to appreicate what was the issue and how to remedy this going forwards. After years of research and surgery Sue has fixed my problem - I love talking again! I have had problems with my voice being hoarse for years which has resulted in surgery and much research to try and fix it. My confidence was at an all time low with both my social and work life being severely affected. I stopped wanting to see friends and family as I was so frustrated. But having therapy with Sue has changed everything and a huge weight has been lifted. I can talk without thinking about how every word is going to sound and whether my voice will actually work. My confidence is growing and it is all because Sue has an ability to understand and fix problems. I can't thank you enough Sue! You have helped me become me again, a happy chatterbox!! I love talking again!! Son's speech - got more from Sue in one hour than we have in the speech therapy system in 2 years. Just wanted to say thank you for yesterday when you saw Charlie for his speech - we got more in the hour we spent with you than we have in the speech therapy system in 2 years. Sue helped our son overcome all his speech problems - he has come on so much! I just wanted to thank Sue for her sessions as they have helped me so much. I was at an all time low, yet came away from the first session feeling hopeful for the first time in a long while. The way Sue instantly understood the effect my voice was having not only upon my work but upon me as a person made such a difference, as did her realistic expectations for my recovery. Now, with Sue's techniques, I feel better than I have in a very long time. I am able to do my job well again, using my voice fully at work and then at home with my children. I feel like me again. Son's speech - absolutely amazing! My son&rsquo;s speech was unclear and I took him to see Sue - she was absolutely amazing! She was really good at getting my son at ease and she was able to get him to do various activity pretty quickly. He thoroughly enjoyed the session. I will definitely recommend Sue to anyone &ndash; she knows her job very well! I wish I approached Sue a lot sooner than I did. I had problems with my speech for years and with one hour of teaching from Sue these problems were quickly fixed. I now find myself speaking clearly, with confidence and enjoying conversations much more since my visit. I have noticed such a big difference and couldn&rsquo;t be happier. I'd recommend anyone to see Sue if they aren't completely happy with their speech. It's the best money I've spent all year! Enlisting the help of Sue Addlestone as speech/voice therapist is one of the best personal and professional decisions I have ever made. For most of my adult life, I have suffered with the sometimes debilitating belief that I spoke too quickly and also muttered. This left me unwilling to speak in certain social or work situations for the fear of being misunderstood, of being asked to repeat myself or worst still, of making a fool of myself. Sue helped me understand which of my issues were real and which were simply perceived. She then taught me a number of effective but easy to master techniques which boosted both my clarity of speech and my confidence. Two days after our final session I gave a best man's speech to over 70 people and (pretty much) nailed it! I can't thank Sue enough for her help and advice. Considering the profound and positive impact she has had on my life, I am only too happy to recommend her services to others. Having developed a problem with my vocal cords through a stress related illness, speaking for long periods of time was placing a real strain on my voice and giving me a really sore throat. Having had only a handful of sessions with Sue my voice has returned back to where it was 7/8 months ago. Her sessions are fun, sometimes unconventional but, always rewarding and you leave each session both with plenty of exercises to rectify your condition but also with a real sense of purpose. Sue is a real inspiration and I can't thank her enough. I am now speaking normally again! Due to extreme nerve-type pain, I was unable to speak without pain. My neurologist recommended seeing a speech therapist and I went to see Sue. From the first meeting with Sue I had no doubt that she would be able to help, even though I had barely been able to speak to anyone for several months. With Sue, it was a question of 'when' not 'if' which was really important for me - by the time I saw Sue I had begun to lose hope. Sue explained everything and even in the first therapy session she managed to get me to say some sounds without pain . The exercises Sue gave me to do at home were easy to follow and well explained. I was also able to ring Sue between sessions if I needed any help. Sue is a great person to get along with. She puts you at your ease from the outset and gets you to move forward - which I did! - after three sessions my speech went back to normal. Daughter's speech therapy - a pleasant and enjoyable experience! We approached Sue for help with our daughter&rsquo;s speech. Speech therapy with Sue was such a pleasant and enjoyable experience &ndash; it didn't feel like therapy at all. Both myself and my daughter looked forward to each meeting with Sue, and we were both genuinely sad when treatment came to an end. We talk of Sue often, and I have told many people about the positive experience of speech therapy we were grateful to receive with her. Thank you so much, Sue for your warmth, kindness and hard work with us. We miss you! My son is 25 and had suffered from a stammer, especially in situations where he was uncertain. This could be during a conversation on the telephone, with a client or whilst meeting colleagues. This was having a huge impact on his life. We decided to seek help and contacted Sue. From the moment I spoke to Sue, there was a confidence that a solution would be found for my son&rsquo;s stammer. As a team, Sue and my son worked hard together for him to master the techniques to control his stammer and she gave him strategies to deal with the situations. My son now has confidence in every situation. He is not avoiding situations any more and feels in control, which he didn&rsquo;t feel before his speech therapy. I would without hesitation recommend Sue to support anybody in overcoming barriers with their speech. Sue, what an amazing lady. To say that I had no confidence in myself when I first met Sue would be an understatement. On first meeting Sue I didnt think I would ever get my normal voice back following ENT surgery. With Sue's help and support I have been able to over come this fear. Sue is always on hand pre & post appointment. Nothing is too much trouble. From the mid appointment supportive text through to the actual appointment time itself. The techniques Sue has provided me will also support other areas of my life. Thank you, thank you, thank you I really do not where I would be without you Sue. Thanks also for your kindness and compassion and helping me to understand how the voice works, without all the technical jargon and restoring my faith in my voice would return one day. We had tears laughter and dancing ! But you were always there for me. Thanks. Sue is amazing at finding the positivity in you. She brings it out in a way that makes you forget you can feel any other way. I was really quite nervous about what it would be like to sit and explain how I felt to someone, but Sue put me at ease as soon as I met her - over the next sessions it felt more like talking to a friend than a formal visit. The past couple of years have been very difficult for me, and I thought I might have to just live with my symptoms. However, Sue showed me really good techniques so that I could learn to control the signs of stress by using these techniques, which were easy to learn and made me feel as if I was back in control again. Thank you so much Sue for all your help. My son has had a stammer ever since he started speaking. He was referred to a speech therapist who he saw for 6 months. Although she taught him lots of strategies, he felt defeated by his stammer. He also got bullied in year 7 and his bully targeted his stammer. He became anxious about going to school and this made his stammer worse. When my son began seeing Sue, his confidence was at an all time low and he was stammering constantly. Sue managed to gain his trust with her honesty and determination. She has also helped him deal with a lot of the emotions he had bottled up - not easy for a 14 year old boy. Since seeing Sue my son&rsquo;s confidence has grown. He is no longer defined by his stammer and he successfully uses the techniques Sue taught him. I would like to thank Sue from the bottom of my heart for everything she has done to help my son. Sue Addlestone is a wonderful speech therapist. She has all the technical knowledge of the workings of the voice, so she can improve voice problems and help people back to singing. She also has a deep understanding of how non-physical problems can hinder the voice, such as stress and anxiety. Her caring approach improved my voice in all areas. Her care is second to none! For years I delayed seeking expert advice about my stammer and was skeptical about the chances of anyone being able to cure me, but Sue did just that over one summer. Contrary to all my preconceptions, our sessions were enjoyable and not at all threatening, awkward or embarrassing. From the first meeting I felt optimistic: Sue did not treat me as a patient seeking a cure or as a client buying her expertise, she talked to me as a fellow human being. She taught me techniques to improve my speech and made me feel for the first time in my life that I could control my stammer and not be ruled by it. That was the breakthrough that made the difference. I recently took part in a presentation and Q&A session and throughout this, I cannot recall a single hesitation. I was exhilarated afterwards and felt I had cleared a major hurdle. I would not have managed it without Sue&rsquo;s intervention and expertise. Sue worked with me showing warmth, insight and a high degree of professionalism. I am indebted to Sue and I would recommend her without reservation or hesitation to anyone. I hope her future clients can take real heart from what has happened to me. If they listen to Sue, read her material and practise - transformation can be achieved. She has been a great help to me in so many ways and has made an enormous contribution. I am, and will remain, indebted to her. Clear speech - amazing progress and a fantastic expereince! My son' s speech was very unclear and difficult for people to understand. He started to become withdrawn so we went to see Sue for speech therapy. Benjamin really looked forward to the sessions - it was a fantastic experience. His confidence has improved markedly and he now communicates far better with friends. Not only did we have a brilliant experience, we also appreciated not being asked to keep attending further appointments which were not necessary. Amazing progress! Thank you! Voice therapy following thyroid surgery I was referred to Sue following my thyroid surgery when I realised that I was having problems speaking after my operation and there appeared to be no improvements. I was very low and frustrated and felt like nobody understood my problem. I was very nervous about my first appointment and was desperate for some help. Sue very quickly put me at ease and made me feel very comfortable about the exercises and tasks she encouraged me to do. I cannot thank Sue enough for her kindness, professionalism and understanding of my condition and her encouragement towards my recovery! Daughter's speech - gained confidence whilst having fun! Thank you Sue - singing went extremely well and I was able to control my voice well thinking of your techqniues ...your help has been tremendous! My wife was referred to Sue as she had been unable to sing for a long time. She had lots of tests but no one had been able to help get her singing back. She went to Sue for voice therapy and benefited enormously from it. We want to say thank you so much to Sue for her marvellous treatment of my wife &ndash; she has given my wife her voice back. She has managed to rekindled my wife's love and joy of singing. She feels alive again! It has felt a long road at times, but with your patience, enthusiasm and determination, I feel so much more confident. I am truly grateful to have both met and worked with you.You are a true professional, showing great warmth and compassion. So "thanks a million"! I approached Sue to help me with my voice as I am transsexual. It was, without doubt, one of the best things I have ever done. She has been a huge help in training my voice to sound more feminine. Sue is a very warm and understanding person and made each session a pleasure to attend. I owe her a great deal and can never thank her enough. It is very hard for me to find the words to express my thanks to Sue for all she has done. She has been fantastic. "Sue is a wonderful teacher that really gets the idea's that you have to learn through in a clear way. The techniques that I have learnt from her will help me develop my voice with confidence. If anyone needs a voice therapist I would highly recommend her, I would not hesitate to go back to her in the future if I needed additional help"
So glad we started with Sue - my son is now speaking in sentences! A brilliant success -and all in three weeks! I had been unable to speak for a long time. It made me very down and lonely. I didn't want to go out or see anyone. I had given up hope of ever being able to speak again so my daughter contacted Sue. I could not believe how it took her only three weeks to teach me how to speak again! I can't begin to explain how grateful I am to Sue - she has helped me get my life back. I began attending speech therapy with Sue as I had previously had bad experiences doing presentations and did not enjoy speaking on the phone. Since I have been receiving speech therapy, I feel a lot more confident speaking to people and in public situations. Last year I was asked to be best man at a wedding and my speech was a resounding success. Even now I am still getting people complimenting me on the speech. Thank you Sue for all your suppport. I certainly wouldn't have delivered the "best, best man speech ever" without your help! My son Harry is 14 and has a stammer. He had been attending speech therapy on the NHS for almost a year, but his stammer had not got any better. I found Sue through the internet and we made an appointment to see her. Not only was she lovely with Harry, she made him feel very comfortable. Sue began teaching him techniques straight away. Harry learned more in the one hour he spent with Sue than he has learned all year with the NHS therapist. She also taught him how to say his name without stammering which he never thought he could do.........Thank you so much Sue &ndash; you are very special! I want to thank you Sue for your your exceptional kindness and sincerity. In a world that gets worse and worse everyday meeting people like you is very refreshing! You helped me very much with my stammer and I really enjoyed your sessions. Keep it up! Sue was amazing. She taught me how to improve my speech by giving me little exercises to do daily that really took up no time. After 2 sessions I was well on my way to getting better. She gave me support outside of the consultations too, either by calling me or by emailing me. I found her to be kind and sincere, and the empathy she showed made me feel she really wanted to help me. I would not hesitate to recommend Sue. She does great work. I just want to share my positive experience with this company, It is not my personal however but my nephew had some troubles with speaking, but he overcame them with the help of this clinic. My name&rsquo;s Chris Campbell and I am a professional singer Back in July 2011 I started having problems whilst singing. After visiting various ENT Consultants and Doctors, the problem didn&rsquo;t improve. Eventually, it also began affecting my speech to the point I could barley talk. My confidence was so low that I became a bit of a recluse not wanting to see anyone or go anywhere. I researched the Internet and found Sue and started speech therapy with her. After working together, I learned how to fix my voice. With her support I began to get the confidence to get back on stage. I also started to get my personal and social life back on track. Thanks to Sue my voice is now back to normal. My confidence is growing all the time and I know that thanks to Sue, I'm on the way to a full recovery. . Sue is a truly amazing person and she has become a friend. I can't say enough great things about her. Not only is she is a great speech therapist, she is also a kind, loving, talented human being. Without Sue, I don't know how I would of got through this. Our 4 year old son&rsquo;s sound pronunciation was not clear so we went to Sue Addlestone. I cannot recommend her highly enough. Sue retrained George on how to produce the correct sounds. This was done calmly, patiently and with the use of toys and games so George was completely unaware he was retraining his mouth to speak correctly. Sue Addlestone is a complete professional and expert in her field in my opinion. She worked at our son&rsquo;s pace and never once did she encourage us to have unnecessary extra sessions. When George was confidently sounding letters correctly she suggested our sessions end. Speech therapy can be a daunting time for parents and we are at the mercy of the experts and usually have a terrible guilt over doing the best for our children. Sue never once took advantage of our vulnerability over this issue and spent time reassuring us as well as providing a safe environment for our son to learn in. We would recommend Sue to anyone who needed speech therapy in a heart beat. I was straining my voice every time I spoke and it was affecting my confidence. I saw Sue and within 2 sessions I had changed the way I used my voice, and as I was no longer straining, my confidence has grown. Sue offered a very professional service and was really approachable and easy to talk to, and clearly understood the issues I was raising. My stammer was holding me back in regards to my career....I wouldn't apply for any jobs that involved phone work, so I felt stuck because of my stammer. I approached Sue as I had an interview coming up with a huge company that offered real career prospects and better money. From my first session with Sue, I went home with a lot of information and felt like I had turned a corner. The work continued after my first session and I then had an interview, which I would not have been able to do before my first appointment. Before my second appointment (on the day actually), I got a phone call and got offered the job that I had the interview for, and was over the moon. More money, much better prospects, more holidays, no more ungrateful employer and hope for the future! Two weeks into my new job, I have given three group presentations in front of 20+ people, all of which have gone great (and the third one was better than I could have wished for), I have also met lots of new people, all of which is in a totally new environment, which previously would have been terrifying for me. Overall, my four appointments with Sue have taken away a lot of the anxiety and fear that comes from my stammer. I'm really grateful for what (Sue has) done for me and I can see how far I have come. . Thanks to Sue's work with me I was able to overcome a troublesome voice issue which had begun to affect my livelihood. Her effective methods quickly resolved my issues and were simple to grasp and utilise. I have now adopted her methods as a matter of course whenever I use my voice and they've already made a significant difference. For 6 years I had continued to speak in a childlike voice with my parents after it had changed, even though I was speaking in my real voice outside the family. Having this double life caused considerable strain on me, and I didn't know where to turn.After all the damage it had caused me, I finally told my parents, and they arranged therapy with Sue. Initially I was scared of being misunderstood, but was astounded how genuinely friendly, and caring Sue was. She gave me the understanding, and advice I had needed so many years ago, but never had the courage to get. Sue, I can't thank you enough for the help you gave me, now I can finally move on with my life. When I first went to Sue, my voice had been affected for almost a year. I had had various treatments given to me by doctors and nothing had worked so I had lost faith that I would ever get it back. Sue was brilliant; not only did she cure my voice but she gave me the confidence to know that, if ever in the same situation again, I could do it myself. More than anything, our meetings were fun which made the whole process very easy. I couldn't thank her enough!" You are a wonderful person and I've learned so much from you. Thanks for all your help! Mrs Addlestone provide me a solution for my stammering which I have been trying to solve for awhile, as I am a PhD student I have to deliver many presentations and attending seminars, before seeing Sue was very difficult for me to stand up in front of audience and speak confidentially. However, now I am the best in my group. She was very understanding, helpful and always a smile and natural friendly manner. I would like to say thank you very much Sue for your support. Sue is the best!! I found the speech therapy sessions incredibly useful. They were tailored based on careful discussion and a deep look into what could be the underlying causes of my speech issue. Once this was found, we worked together with very well-prepared material to solve the problems. Sue's friendly demeanour and patient approach makes for a very stress-free time and after just 5 sessions, everything has been sorted. I am now more confident when I speak to people and have no problems with public speaking and being understood. Both psychology and physical mechanics are dealt with in a way that has allowed me to be more aware of what I am doing when I speak. I cannot speak highly enough of my experience!! Many thanks! Thank you for being so kind. My son had such a positive experience and it is a relief to know that he is able to work on some of the techniques that you have shown him. He came out with a spring in his step and he has got so much from just that one session already. I have so much enjoyed my meetings with you. You have given me some key techniques and methods for getting my voice into shape which I am immensely grateful for. Thanks again for your support and encouragement - I shall miss seeing you. Sue treated my son just over 12 months ago when he lost his voice. When it returned, she went on to treat him for a stammer. Tom has never looked back since he finished his sessions with Sue last year. He was chosen to attend a 3 day course on radio presenting and at the end of the project he told me he was going to be the one of the presenters for an final show. I have to say I was quite concerned and I sat with my heart almost in my mouth waiting for him to set foot on the stage, but he came out and said his lines as clear as a bell. I was not only proud for what he was doing, but doubly so because of the problem he has had with this speech and him never wanting to be involved with anything because of it. If it wasn't for Sue, I don't think Tom would have got involved with any of the above. I have asked him more than once if he ever thought he would be involved in any of the above this time last year. His answer is always 'no'. I want to say a very big THANK YOU for the treatment and advice Sue gave to Tom on how to deal with his problem. I'm sure he would not be doing any of the above had we not been so lucky to be introduced to Sue. p.s. Tom's latest career desire is to be a TV presenter. Recently Sue helped my son and our family through some difficult issues. She was very sympathetic and caring whilst adopting a very professional approach. I feel she made a difference to my son's life in a positive way and at the same time supported me as his Mum. Many thanks Sue. I am extremely grateful to God Almighty Who has led me to such a dedicated professional as Sue. I was completely mute following a tragedy nearly three years ago. The quality of the therapy that i received from Sue has resulted in me speaking once again. I travelled all the way from Pakistan to receive treatment in the UK and can confidently say that anyone who has a speech impediment or has ever suffered trauma to their speaking ability should seek assistance from Sue Addleston. May family and friends are all indebted to Sue for the time and effort that she has expended on me and helped me to communicate verbally. On a personal note Sue, I am deeply honoured to have met such a lovely professional as yourself. Your humbleness coupled with the determination and patience that you offer to your patients is surely the key their achieving what they either never had or as in my case regaining that which was lost following an unfortunate incident. My prayers go out for you and your family. Just a quick note , to thank you once again for your help. My everyday quality of life has massively changed since you explained the cause and reason for my speech blocking. Now that I understand what the problem is or should I say was, I find it easy to take a breath, relax and rectify the situation. With this in mind my self asteem and confidence has improved dramatically, especially in meetings were I now feel relaxed instead of anxious and being concerned that my speech wasn't going to be fluent. Its great to be able to focus more on the purpose of my meeting and not on the fact that I might stuggle with my next sentence. It was a pleasure to both meet and work with you. My son has seen Sue for a lisp for a few sessions and his progress has been amazing. Sue is warm and friendly and she has made the sessions fun for him. He sounds so much better and his confidence and self esteem have improved imeasurably. I am so pleased.